The present study which extends its analysis beyond the stance triangle as “the minimum structure of stance as dialogic action” (Du Bois, 2007, s. 174) depends on the stance-taking model of Du Bois (2007). The study also exemplifies the dynamic aspect of stance-taking in mutual interactions. At this context, it explores the temporal and interpersonal transformations of stance object in addition to the shifts in stance alignments in large interactional sequences. The study focuses on the ‘natural’ interactional parliamentary talks especially to the question-answer transitions. The data of the study comprises of 273 Blue-card questions taken from the discussions of the opening session of 2011 in which the European Debt Crisis was settled but still being discussed. The present study which describes the stance-taking model put forward by Du Bois will bring an explanation in terms of temporality to the stance-taking in the interaction of long turn sequences. In the analysis, the dynamic and interpersonal transformations of stance object which are produced by parliamentary members by manipulating the utterances of the ‘others’ will be demonstrated. Çözümlemenin odağını “söyleşimsel eylem olarak duruşun en küçük yapı taşı” (Du Bois, 2007, s. 174) olan Duruş Üçgeni’nin (İng. stance triangle) ötesine genişleten bu çalışma, Du Bois (2007) tarafından ortaya konulan duruş-alma (İng. stance-taking) modeline dayanmaktadır. Çalışma, karşılıklı konuşmadaki duruş almanın devingen yönünü örneklemektedir. Bu bağlamda uzun etkileşim dizilerindeki duruş hizalamanın (İng. stance alignment) dağılımındaki kaymalara ek olarak duruş nesnesinin zamansal ve kişilerarası dönüşümlerini incelemektedir. Çalışma, ‘doğal’ etkileşimsel parlamento konuşmalarına özellikle de Mavi-kart soru-yanıt geçişlerine odaklanmaktadır. Çalışmanın verisi, Avrupa Parlamentosu’nun Avrupa Borç Krizinin karara bağlandığı ancak hala tartışma konusu olduğu 2011 yılı açılış tartışmalarından alınan 273 Mavi-kart sorusundan oluşur. Du Bois tarafından ortaya konulan duruş-alma modelini betimleyen çalışma, kuramsal katkı olarak uzun konuşma sıraları ile oluşan etkileşim esnasındaki duruş-almaya zamansal bir açıklama getirecektir. Çözümlemede, parlamento üyelerinin ‘ötekinin’ sözcelerini yönlendirerek bir Mavi-kart sorusu süresince ortaya çıkardığı duruş nesnesinin devingen ve kişilerarası dönüşümleri gösterilecektir. Archakis, A. ve Tsakona V. (2010). ‘The wolf wakes up inside them, grows werewolf hair and reveals all their bullying’: The representation of parliamentary discourse in Greek newspapers. Journal of Pragmatics, 42, 912– 923. Avdan, N. (2017). Collaborative competition. Stance-taking and positioning in the European Parliament. Sweden: Linköping University Press. Carbó, T. (2004). Parliamentary discourse when things go wrong: Mapping histories, contexts, conflicts. P. Bayley (Yay. haz. ), Cross-Cultural Perspectives on Parliamentary Discourse içinde (s. 301–337). Philadelphia: John Benjamins Publishing Company. Chilton, P. (2004). Analysing political discourse: Theory and practice. New York: Routledge. Du Bois, J. W. (2007). The stance triangle. R. Englebretson (Yay. haz. ), Stance – taking in discourse: Subjectivity, evaluation, interaction içinde (s. 139 –182). Amsterdam: Benjamins. Du Bois, J. W. (2014). Towards a dialogic syntax. Cognitive Linguistics, 25(3), 359–410. Du Bois, J.W. & Kärkkäinen, E. (2012). Taking a stance on emotion: Affect, sequence, and intersubjectivity in dialogic interaction. Text and Talk, 32(4), 433–451. Ilie, C. (2004). Politeness in Sweden: parliamentary forms of address. L. Hickey ve M. Stewart, (Yay. haz. 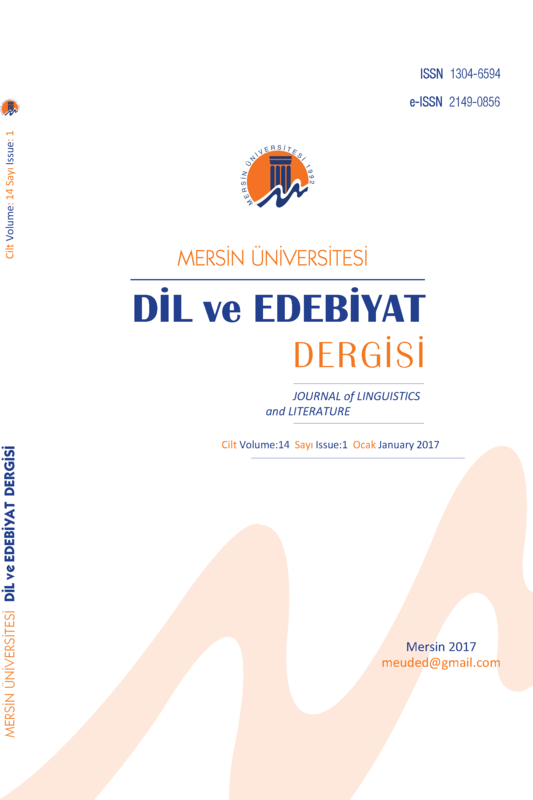 ), Multilingual Matters: Politeness in Europe içinde (s. 174–188). U.K./ U.S.A./ Canada: John Wiley and Sons. Inc.
Jefferson, G. (1991). List construction as a task and resource. G. Psathas (Yay. haz. ), Interactional competence içinde (s. 63–92). New York, NY: Irvington Publishers. Keisanen, T. (2006). Patterns of stance taking. Negative yes/no interrogatives and tag questions in American English conversation. Oulu. Yayınlanmamış doktora tezi. Erişim adresi: http://herkules.oulu.fi/isbn9514280393/. Kärkkäinen, E. (2006). Stance-taking in conversation: From subjectivity to intersubjectivity. Text & Talk. 26(6), 699–731. Linell, P. (2009). Rethinking language, mind, and world dialogically: Interactional and contextual theories of human sense-making. USA: Information Age Publishing. Van der Valk, I. (2003). Right-wing parliamentary discourse on immigration in France. Discourse & Society, 14(3), 309–248. Van Dijk, T.A. (2003). Knowledge in parliamentary debates. Journal of Language and Politics, 2(1), 93–129. Vasilescu, A. (2010). Metastance in the Romanian parliamentary discourse: Case studies. The proceeding of Institutul de Lingvistica al Academiei. LV, 4, 365–380. Wu, R. R. (2004). Stance in Talk: A conversation analysis of Mandarin final particles. Amsterdam/Philadelphia: John Benjamins. ISNAD Avdan, Nazlı . "Duruş-Alma ve Zamansallık: Avrupa Parlamentosu Konuşmalarında Duruş Alma Eylemi". Dil ve Edebiyat Dergisi 16 / 1 (January 2019): 21-37.